Paintwork of heavy duty transport equipment and trailers at our service points in Vahto, Vantaa, Seinäjoki, Tampere and Oulu. In the paintwork chamber of heavy duty transport equipment, we paint heavy duty equipment, such as trucks, work machinery and trailers. 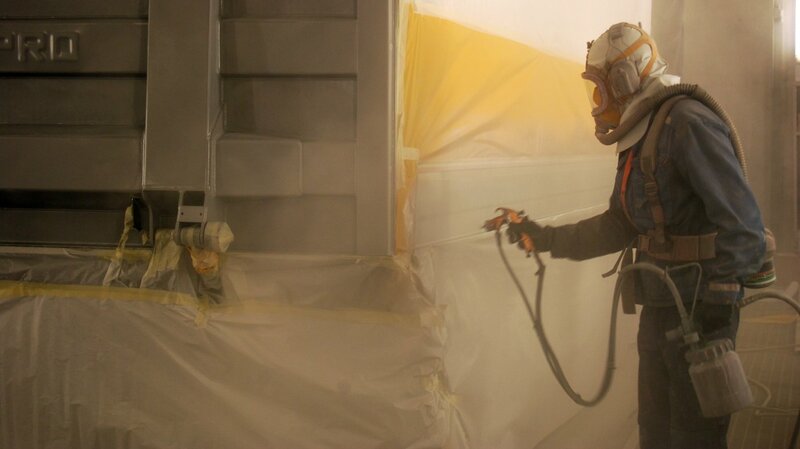 We paint the chassis and surface structures of transport equipment from the priming work to the surface paintwork.